Researchers in Spain have reported that the cannabinoid tetrahydrocannabinolic acid (THCA) could be useful in treating degenerative diseases of the brain. It was the neuroprotective attributes the Spanish researchers were interested in during their study of mice. Administration of 3-nitropropionic acid (3-NP) in mice results in a progressive locomotor deterioration resembling that associated with Huntington’s Disease; also known as Huntington’s Chorea. There is currently no cure for Huntington’s. “Δ9-THCA shows potent neuroprotective activity, worth consideration for the treatment of Huntington´s Disease and possibly other neurodegenerative and neuroinflammatory diseases,” stated the researchers. The team’s findings have been published in the British Journal of Pharmacology. A study published in 2012 also indicated THCA may have neuroprotective attributes. While THCA is not scheduled by the United Nations’ Convention on Psychotropic Substances, it may still be considered an “analog” of THC in the USA and therefore those possessing it could be prosecuted under federal law. Medical cannabis generally may play a huge role in treating brain disease and injury. Last year we mentioned researchers found THC can promote the removal of a toxic protein associated with Alzheimer’s disease. 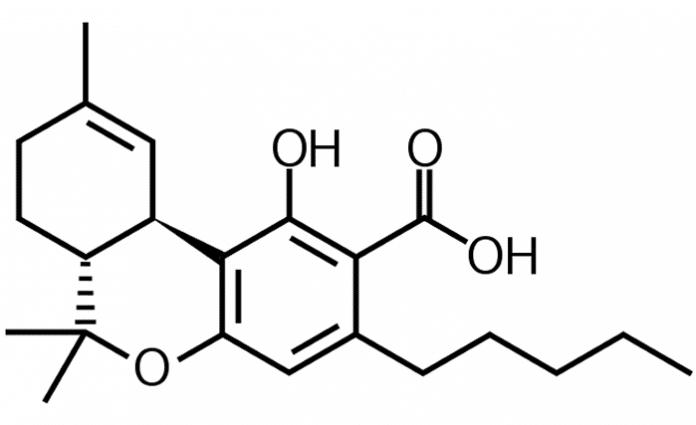 Low doses of THC have also been shown to restore cognitive function in old mice. Cannabidiol (CBD), another important cannabinoid, is being trialed for its potential in treating children with brain tumours. Cannabidiol may also be an effective treatment for concussion and other forms of Traumatic Brain Injury (TBI). *Microgliosis: Presence of microglia (type of glial cell – main form of active immune defense in the central nervous system) after brain injury, astrogliosis : abnormal increase in the number of astrocytes through brian injury and neurodegenerative disease.